Australians who are concerned about refugees should be allowed to house them in their own homes at their own expense, according to new Liberal Democrats Senator Duncan Spender. After addressing Australia’s affordable housing crisis in his maiden speech, Senator Spender accurately described the conundrum Australia faces when it comes to refugees. “We need to confront the reality that there are millions of refugees in the world who would love to make Australia their home. We also need to accept the reality that millions of Australians don’t want any more refugees to settle in Australia,” he mused. “We need to reinvigorate the policy where concerned Australians, rather than taxpayer-funded government agencies, fund, support and house refugees. “Note that the only refugees accepted under this policy would have passed all health, character and criminal checks. And the costs of their settlement would fall on concerned Australians, so everyone else would have little left to complain about. “Think of all the cars in Australia with bumper stickers emblazoned with the slogan ‘say yes to refugees’. Imagine if each of these car owners said yes to having refugees stay in their house and live at their expense for as long as required. “Those of us who support refugees need to be the change we want to see in the world,” he concluded. 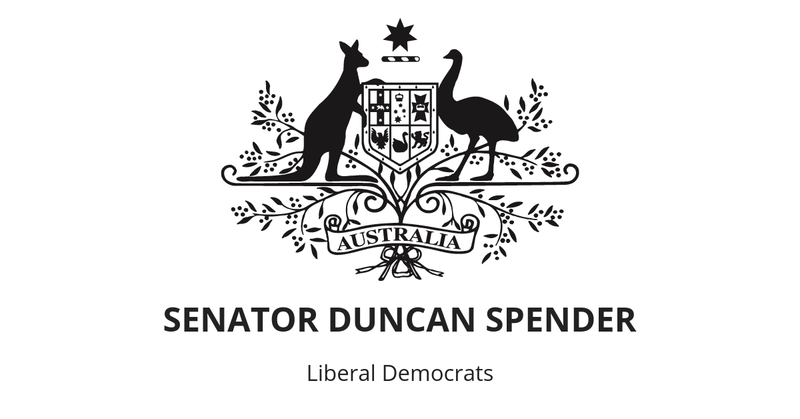 Senator Spender is following closely in the footsteps of his predecessor, David Leyonhjelm, who negotiated to lift the refugee intake by thousands.